On your Zipline Tours in Kauai, you harness up and zip line across valleys and gulley's when you choose Kauai Backcountry Adventures. Fly over streams and view places in Kauai more spectacular and beautiful than you can ever imagine! With Kauai Backcountry Adventures in Kauai, you will experience an exclusive zip experience that occurs on private land that never before been open to the public. 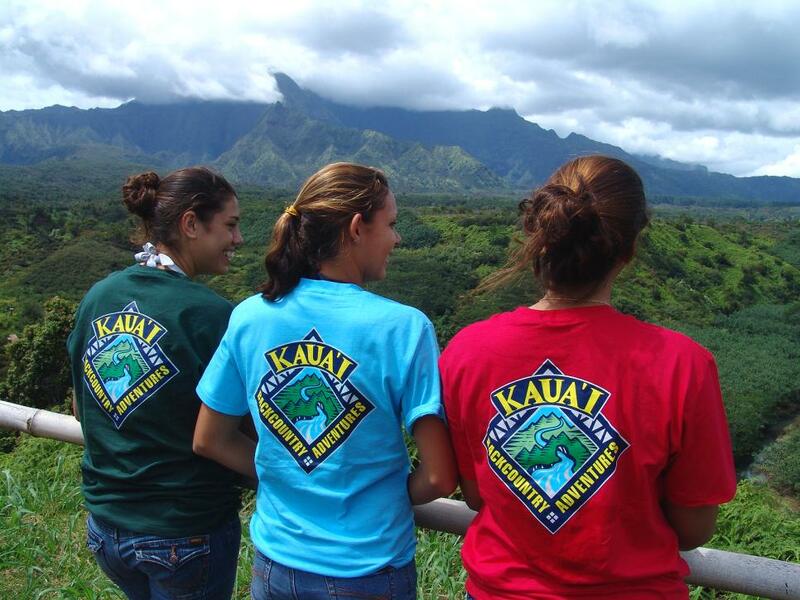 Kauai Backcountry not only offers an excellent Kauai Tubing Tour but offers A 3 1/2 hour backcountry zipline adventure that will take you deep into Kauai's lush interior as you travel down a mountain side into the valley below. Kauai Ziplining is truly one of the most unique and popular Kauai Activities, so it is very important to reserve your Kauai adventure early. The Kauai Backcountry Zipline course is regularly inspected by an accredited vendor of the Association for Challenge Course Technology. 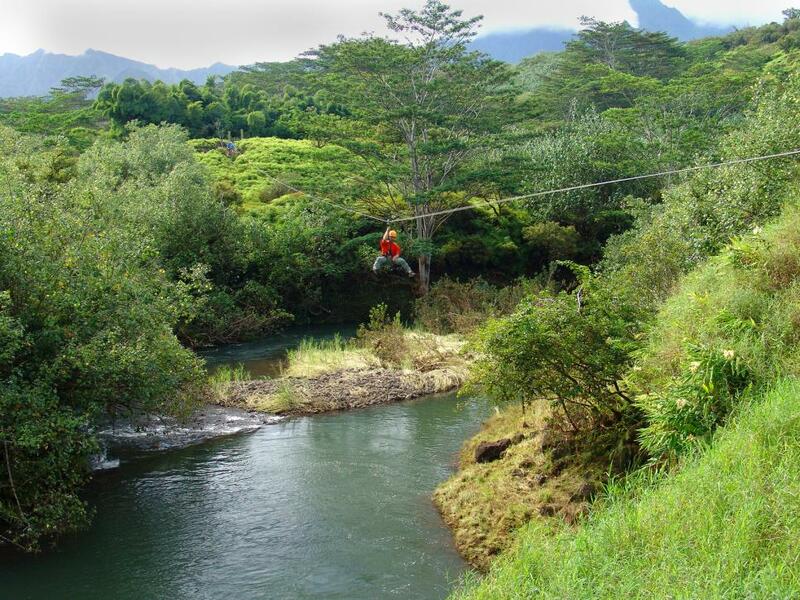 This Hawaii Zipline has been professionally engineered to exceed industry standards, and is meticulously maintained. 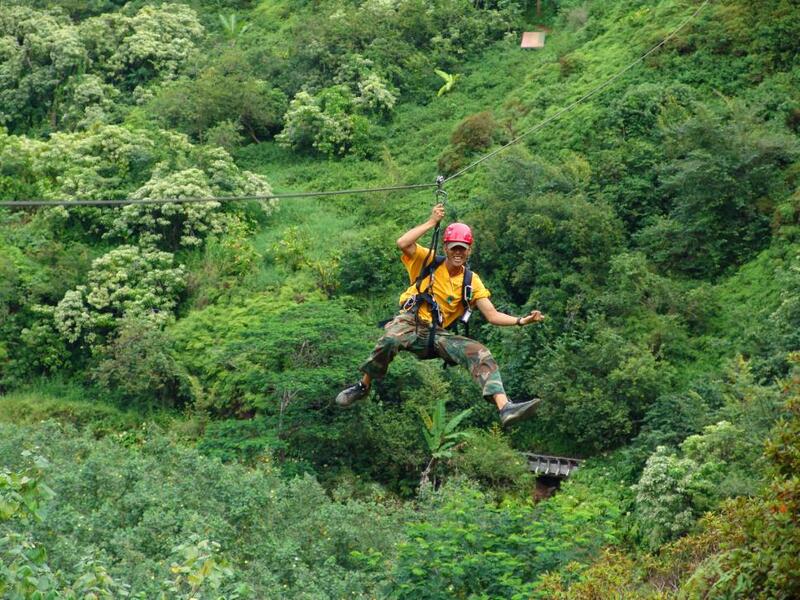 The Kauai Zipline Adventure with Kauai Backcountry puts safety at the top of its priorities. The Minimum age for this zip line tour is 12, minimum weight 100 pounds,and maximum weight 250 pounds. No neck or back injuries please. Anyone under the age of 16 must be accompanied by an adult on the tour. Pregnant women may participate in this Hawaii zipline tour if they are in their first trimester and have a note from their physician OK'ing them for this tour. When making a reservation for this Hawaii Zip line Tour, using the form at right, please indicate your lunch order. You have your choice of turkey, roast beef, ham, or veggie sandwiches. Adventure Details What to Bring: • Long Pants • Covered and Secured Shoes REQUIRED • Wear a swimsuit beneath your clothes • Bring a towel, sunscreen and bug repellent • Hair ties to secure long hair We Provide: Helmets Harnesses Snacks and Refreshments Duration: Approximately 3 1/2 hours What to bring: Knee length shorts or long pants. Closed toed, secure covered shoes such as tennis shoes or hiking boots. No water shoes.